Decluttering will surely make your life easier, but what if you’ve already got rid of all the unnecessary things, and you still have no place for all your belongings? 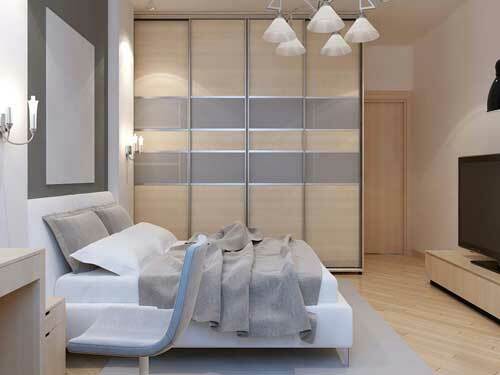 We will present you some ideas that can make your small bedroom more functional. This is probably the biggest unused space in your bedroom. Even if you don’t have a storage bed that lifts up or has built-in drawers, you can use the space below your regular bed with some DIY storage containers. Or, if you aren’t that creative – buy some under the bed storage drawers or boxes at the store. You can always hide this space with some bed skirt. It may seem a little bit odd at the beginning, but for a tiny bedroom, it might be a perfect solution if you consider purchasing an air mattress instead of a regular bed. 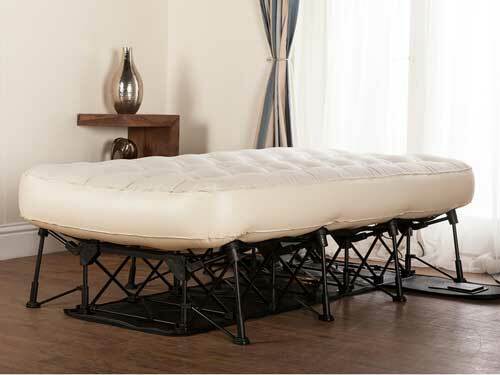 The deflated air mattress can easily be rolled up or folded and stored, which will free up some space in the bedroom. 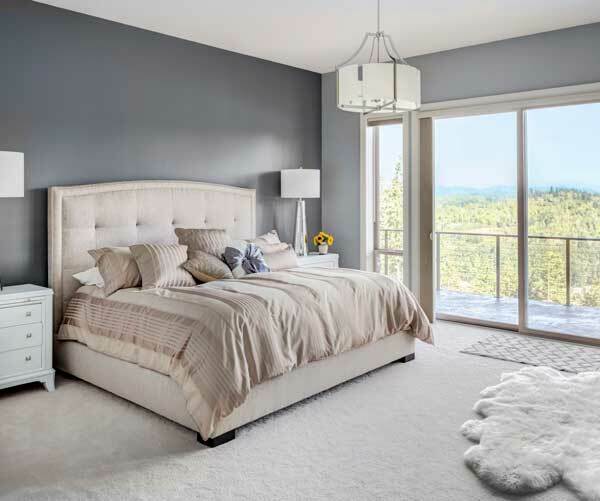 There are various air mattresses on the market, so you can certainly find the one that will satisfy all your body’s needs for a good night’s sleep. Corners are another area that usually remains unused. Hang some hangers, put some shelves or a hamper… there are so many ideas, you’ll surely find the right one. And don’t forget over-the-door hanger for a bedroom door – you can hang your bags there, for example. That way they’ll be at your fingertips when you need them, and hidden when the door is closed. Instead of just hanging some pictures, consider purchasing a shelf which is also a drawer or a table, as well as mirrors that can be utilized as a storage space (for your jewelry or makeup and cosmetics). And hang your lamps and family photos instead of putting them on your nightstand. 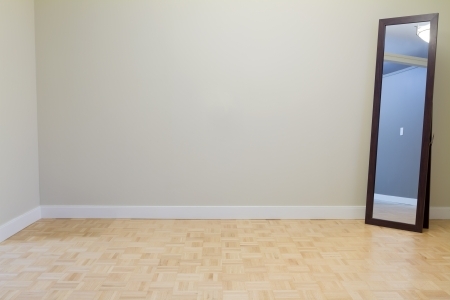 You might even think about installing a shallow wardrobe along one wall – it will take up a whole wall, but it will add more storage place than the regular one-piece closet. Have you considered buying some furniture that does more than one „job“? A sleeper sofa is a classic space-saving piece of furniture, but you might also think about the purchase of a dresser instead of just a nightstand. Things that are scattered not only look untidy but take a lot of space as well, so it’s important to keep everything in its place and folded. There are various ways for folding your clothes – you should try folding things upright or rolling them up, instead of laying them flat in a drawer. And once you organize your stuff, you should put a ‘donate bag (or a box)’ at the bottom of your closet, for all those things you try and then realize you don’t want them anymore. You may install some additional shelves, or use some over-the-door hangers to make some extra space for your stuff. Another great idea is to use drawer dividers for your dresser – so everything will always be neat and transparent. Even if you are not their big fan, you must admit that vacuum bags are very useful for putting away all those bulky seasonal clothes. And pillows, quilts, and blankets, as well. With the help of these smart storage ideas and some tricks of the eye, you will surely make even the smallest bedroom more functional and spacious.